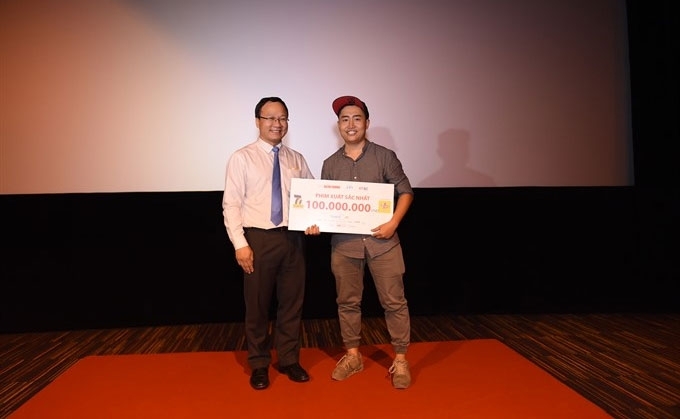 An amateur director in HCM City, Phan Hoàng An, has won the Uống Có Trách Nhiệm (7 Film Fest – Responsible Drinking) short film contest. The contest was organised by the National Committee for Traffic Safety to raise awareness about drunk driving. An won six prizes for his film Mầm Non Dưới Đáy Chai (Sapling in the Bottle), including best film, director, scriptwriter, cinematography, actor and supporting actor. The film tells the story of 11-year-old Đậu (played by Bảo Bảo), who works and lives with his older brother at a pub in the Mekong Delta. Seeing drunken people scares and worries him. To reduce his anxiety, Đậu plants a tree in a wine bottle. One day, there is a fight in a shop. He grabs his tree, runs out of the shop, and is suddenly hit by his drunken brother who is transporting wine for the shop. The film ends when Đậu falls and loses consciousness while still protecting his tree. Director Hàm Trần, one of three judges, praised the cinematography well, meaningful plot and particularly Bảo Bảo’s natural and excellent acting. “It’s a miracle,” An said after receiving the prize at the awards ceremony at Galaxy Cinema in HCM City on Thursday night. He said that he would use the cash prize to continue filming, especially films on traffic safety. “I hope to raise people’s awareness about traffic safety,” said the 28-year-old director, who worked in communications before switching to filming. “I have learned a lot from professional filmmakers at the 7 Film Fest,” he added. 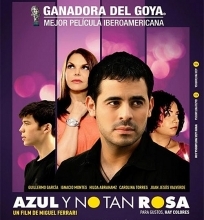 In August, the organisers chose seven directors and seven screenwriters from hundreds of entries. They were paired into seven groups consisting of a director and a screenwriter. They learned about filmmaking from talented directors and then made their own films. The films were screened for the public at local cinemas, including CGV, Galaxy and BHD cinemas, and on social networks like YouTube. The judges and the audiences voted for the winners. 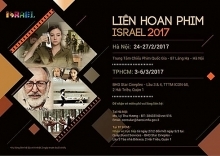 Vietnamese-American Charlie Nguyễn, the contest’s production manager, said that six films were screened this year, and each of them told a true story that reflected the topic of responsible drinking.